This child model with down syndrome is making history. We hope that one day no-one will think there's anything unusual about this child model. There is a beautiful reason why this child model is making history. 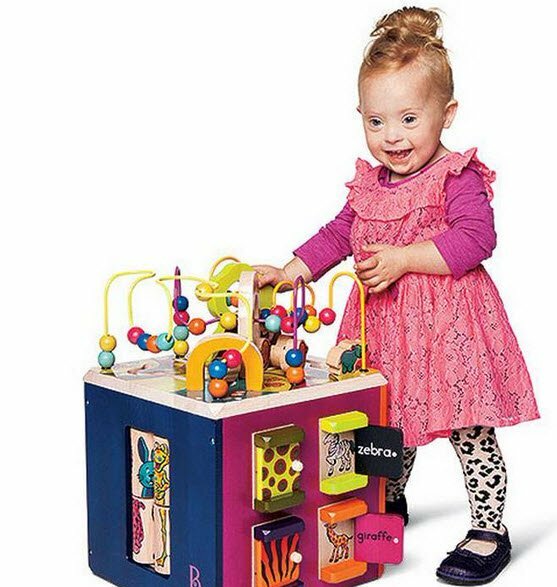 Izzy Bradley is a gorgeous 2-year-old model from Stillwater, Minnesota in the US and she recently featured in a Target ad for children’s toys. The toddler appears in the ad wearing a pretty pink dress and was chosen after Target contacted the Down Syndrome Diagnosis Network (DSDN), looking for child models. I really appreciate Target’s policy of including them (people with Down Syndrome) in their ads.I think it really normalises Down syndrome and helps people to see we’re really just like any other family. This is the Target ad Izzy starred in. The family said Izzy had enjoyed taking part in the photo shoot in September and that she loved seeing her photo in public. They have also opened up a bank account for Izzy with the money from the shoot. Heather Bradley said she hoped the ad would help change the public’s view of people with Down Syndrome – and judging by the outpouring of support for Izzy, Target and the ad on social media, it looks like she’s right.